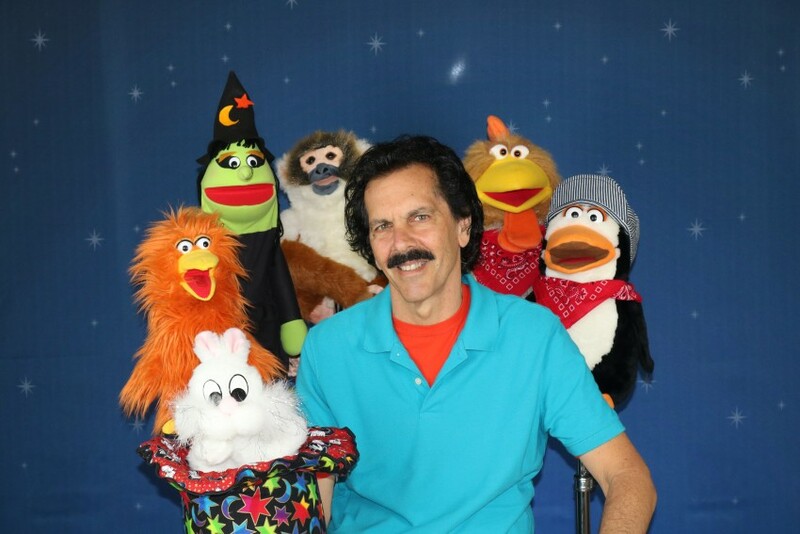 Family Magic Shows, Birthdays, School & Library Shows, Holiday Shows& More! We have been in the kids show entertainment industry for years & know through experience what kids respond to: Hilarious Comedy, Jaw Dropping Magic, Jokes, Puppets, Audience Participation, Awesome Balloon Sculpting and Uncontrollable Laughter! The show is like having a stand-up comic for kids. We are fully insured, have a state & national FBI background check & fingerprinted . You can rest assured you are hiring safe and professional entertainment. Contact us to see how we can make your event memorable. ShowTimeForKids, Your kids show experts! Quality you can trust. Jim provided the entertainment for you 7 year old daughter's birthday party and he was wonderful. The children loved him and laughed the entire time. Showtime for Kids were great! I hired them for my 6yr old party. They arrived on time, put on a great show! The kids and adults were involved and stayed involved the whole time. I would definitely use them again. The Venice Yacht Club would highly recommend Showtime for Kids. This show is funny, entertaining to both kids and adults. The performer is professional and very pleasant. You must give them a call for your next event. 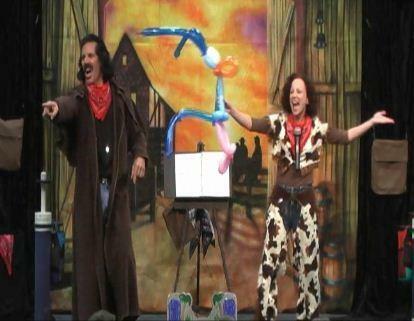 Our live performances include: 100% pure wholesome family entertainment. All shows are fast paced, filled with: Quick Wit, Comedy, Magic, Balloon Sculpting, Audience Participation and more. We are not your typical pull a rabbit out of a hat magic act. Not only do we entertain the kids, but the adults as well, which creates a well rounded out program that families will walk away laughing and mesmerized! 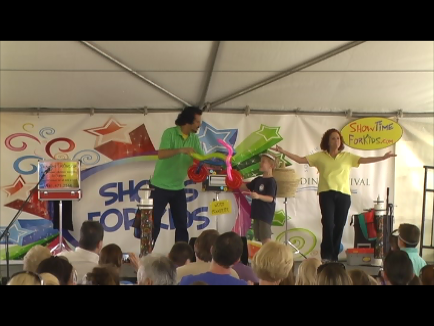 ShowTimeForKids, we are full time professional kids/family entertainers, providing awesome interactive magic shows, for preschoolers to tweens and yes, even adults! All shows are 100% self-contained including: Custom Backdrop Curtain, Costumes, Microphones & Sound System, all we need is an electrical outlet. Which means when we arrive all you need to do, is round up the kids! We travel through out the USA with our various shows/programs, so you can rest assured that you are hiring professional and quality entertainment for your event. Have an event coming up? Have specific questions that need to be answered? We can help, just contact us and we will answer any questions you may have and help put your mind at ease, we can even customize a show to fit your events theme. At ShowTimeForKids / we have your show! At ShowTimeForKids, we really do not have strict technical information for Birthdays, Schools or Libraries. For Fairs and Festivals we have basic requirements, such as: try to have parking as close to performance area as possible, if sound is provided-we have cue sheets so the sound man will know when to start/stop music. We arrive 100% totally self contained...all you need to provide is a clean performance area...That's it! Recent review: Jeff and his wife Lori did a great job at my son's birthday party! The kids had a blast!